Full Clip ® Spring Editorial shot by Chris Peeples & modeled by TJ Bunny. Click Here to purchase the Butterfly Effect Long Sleeve Tee and Carhartt Quilted Vest. This Friday the Full Clip ® Winter '19 Capsule Releases Online. Enjoy 4 specially released items available online. Stay tuned throughout the week for social media content, news, and access to the release this Friday. Full Clip ® Fall/Winter '18 Editorial shot by Chris Peeples. Click Here to purchase the Chin Music Plush Long Sleeve Tee. Full Clip "Fire & Desire II" Editorial featuring Audrey Norris. Featuring the pink & green "Fire & Desire II" tee. Full Clip Summer Editorial. Modeled by Davey Phatts. Frequent collaborator and NYC photographer Corey Ross brings forth the Spring/Summer '18 "New York minute" Editorial, modeled by Mel Mainor. The editorial was shot on location on 8th Avenue in Manhattan, New York. Directed by Chris Peeples, the look book feature the downtown ambiance, busy street traffic, and a stop on a taxi cab. 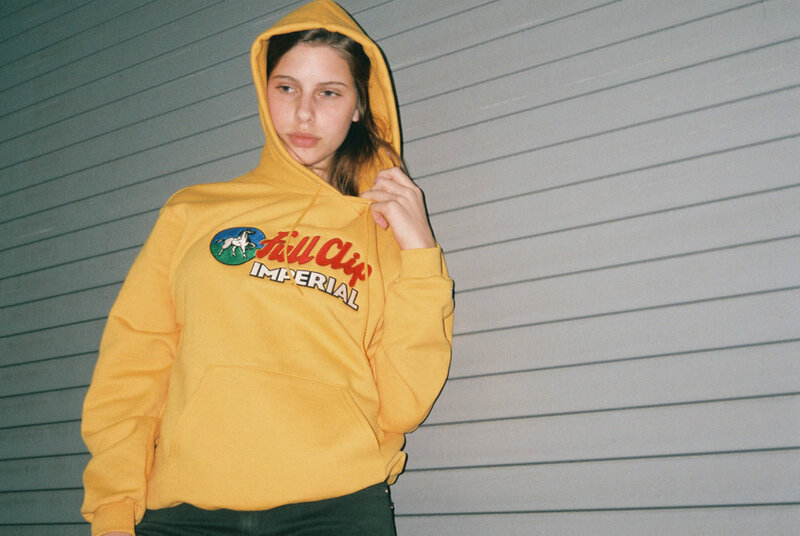 The Full Clip ® x Extended ® "Wheat Hoodie" is pictured in the shoot and modeled by Mel Mainor. 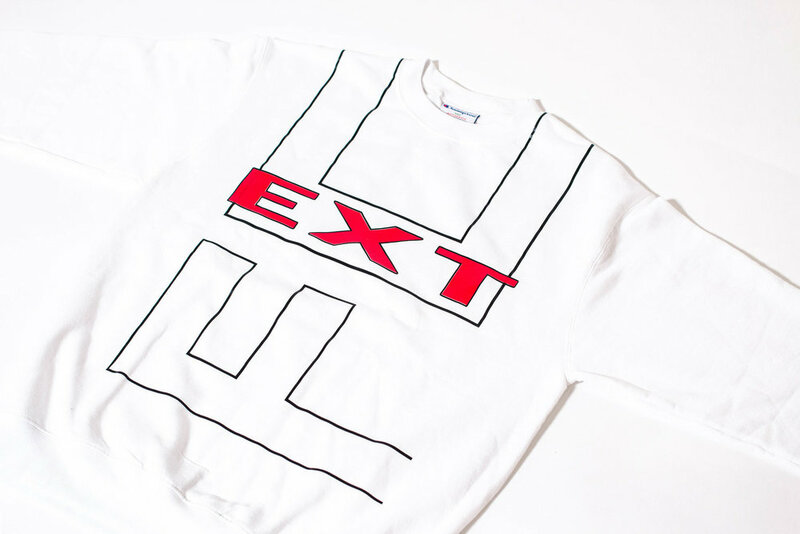 With the Private School Crewneck, we decided to take a different approach with design. A subtle, contemporary look was our goal to add to the Spring '18 delivery. Stepping outside the box as well as introducing "Extended", a sub brand of Full Clip was on our early to do list for 2018. The Private School Crewneck complements those with a much simple, sophisticated look, as the "FC" motif is hidden vertically on the crew neck if you look closer. Liv Dewitt & David Piper pictured below, shot by Chris Peeples & styling by Deb. The Full Clip ® "Fire & Desire" Look-Book was shot by New York photographer Corey Ross and features Chris Newton of All Friends Welcome. 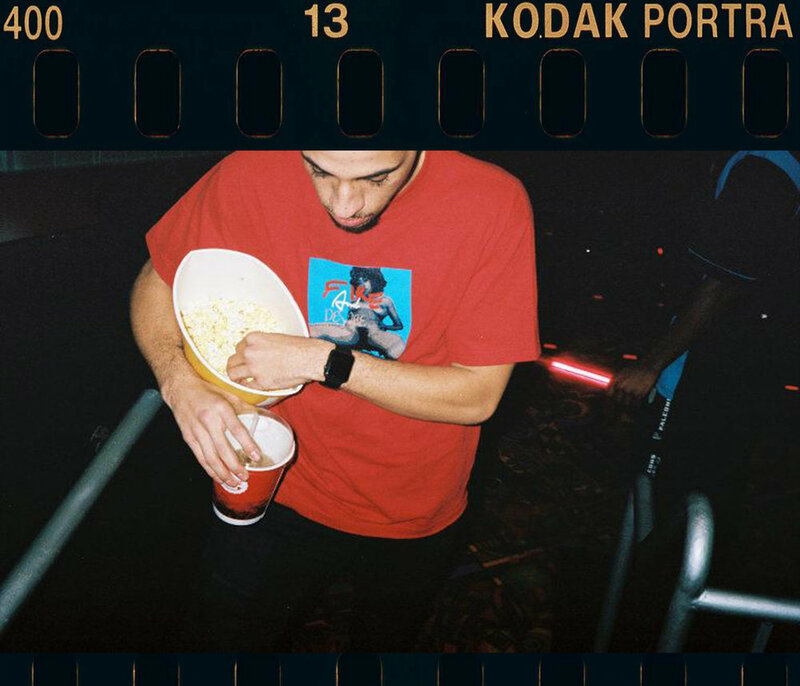 Staged in the Regal 22 movie theater in Georgia, the editorial features both versions of the new Fire & Desire Full Clip tee. 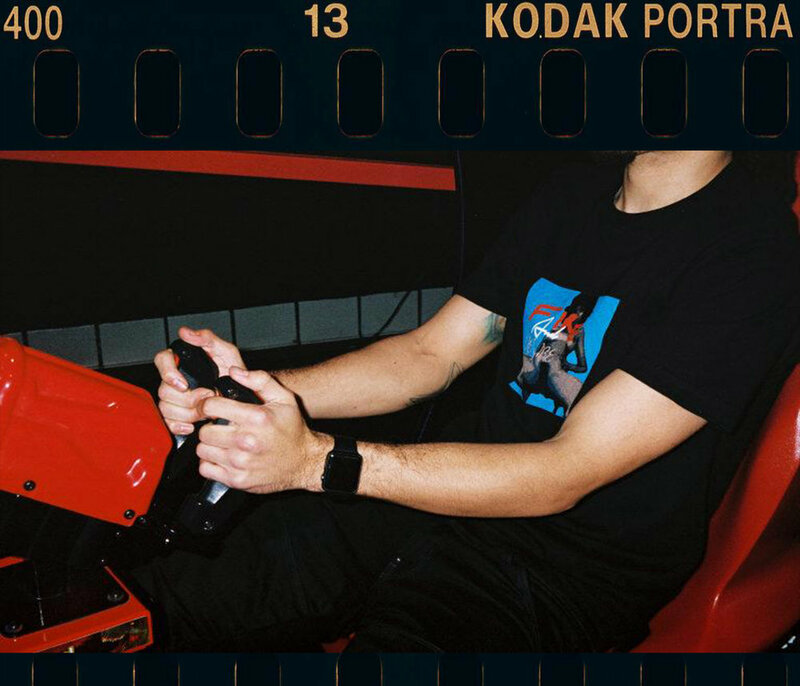 View the shots below and click HERE to purchase the Full Clip, Fire & Desire tee. Stand for something or fall for anything. 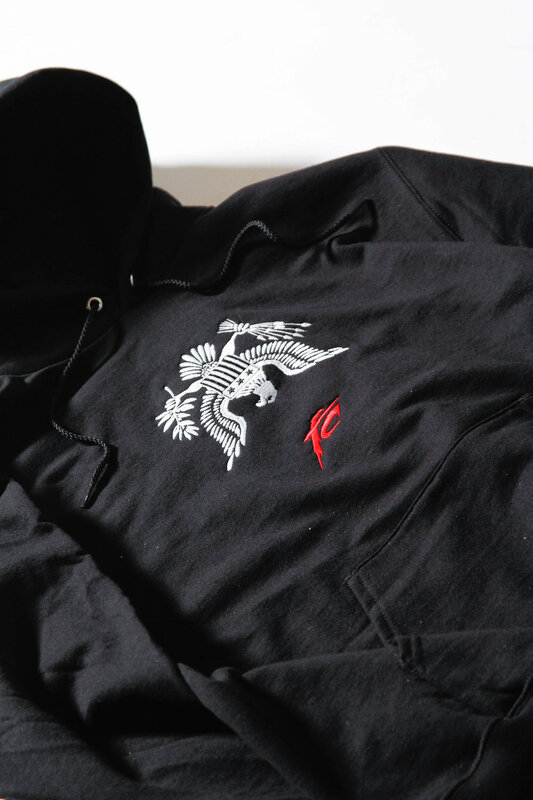 We returned this Spring with a special edition release, the Black Democrat Hoodie. In the wake of turbulent times during the current affairs of the U.S. and the world, we designed a limited edition piece. 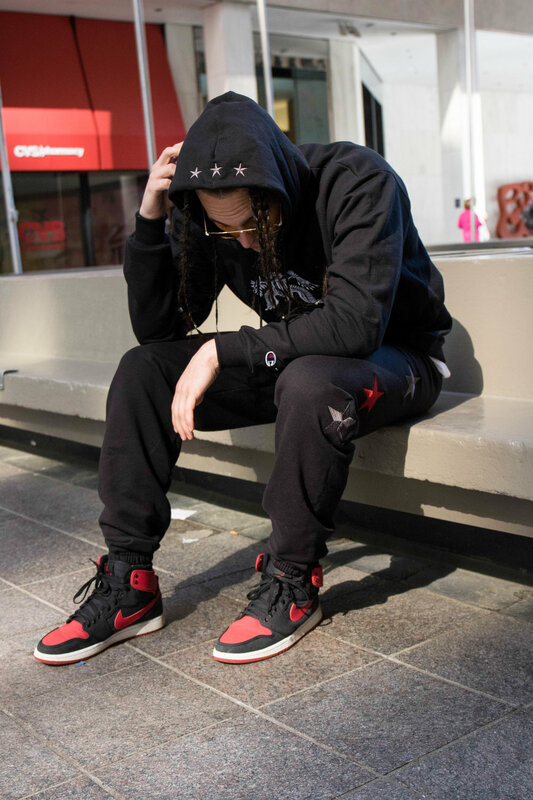 Expressing artistic and current political stances on the past presidential election, the FC Black Democrat Hoodie is an embroidered piece, with stars stitched on the hood, along with embroidered invert eagle and FC stitching, and embroidered star sweatpants to complement them. Inspiration: It's safe to say that many people are fed up with what's going on, politically: healthcare reform, foreign crisis, race issues in the news, the list is never-ending. With the current state of affairs in our country, our goal was to make a simplistic set of clothing that also matched our feelings with what's happening in the news, hence the upside down eagle design. As much as the figure heads of the country preach unity, there are so many sectors of division & separation. 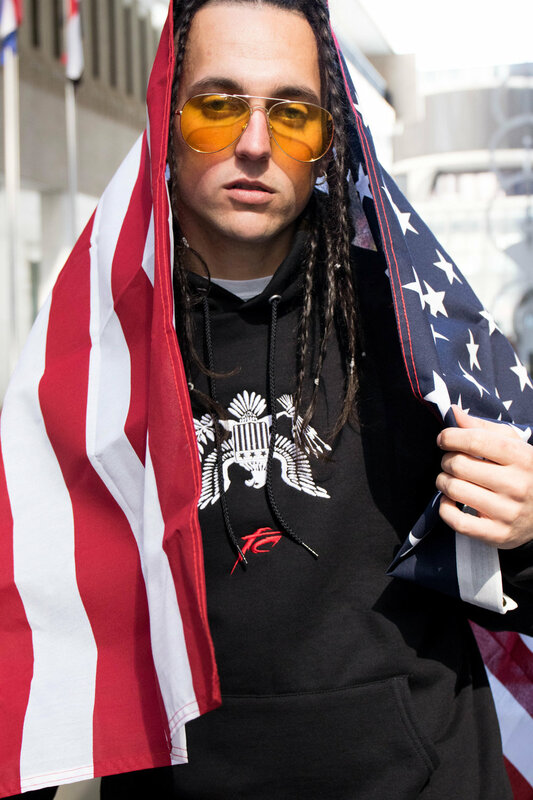 Though our goal is to create fashionable clothing, every now and then it's important to step outside of the norm and create a piece that exhibits political views. Location: The commercial footage was shot at Peachtree Center Station in Atlanta, GA. PCC is very busy during the day so we got there around 9:30 am on a Saturday. It also happens to be favorite stopping point on Peachtree St. The open spacing, all of the international flags, and pedestrians give off a feeling that I'm in New York City. Result: The funny thing is, as soon as we began shooting we immediately drew attention from tourists. Old ladies from out of town began pulling out their phones and taking pictures. 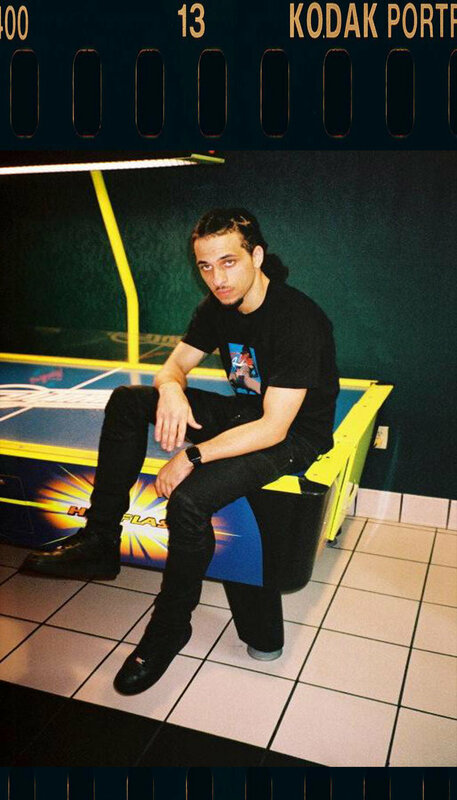 Maybe they thought we were shooting a music video, especially since Christian had braids in his hair and we were walking around with 2 cameras. As soon as we were 90 minutes deep into shooting (and pretty much done) security came and told us to leave. I find it crazy (in a good way) how you get rewarded by taking risks, even if you get kicked out later. Mission accomplished. Kaden and Ricky did a great job capturing angles & personality of the model on film. My goal for 2017 was to create more emotion in the product, visuals, and overall tone of the brand. So far so good. Click Above to view the Full Clip Imperial Commercial, set in downtown Atlanta. Shot by Architek Films. Music: "Something You Forgot" (Instrumental) - 'Lil Wayne. Inspiration can strike at any given moment, and while on summer trip in Germany, The Henninger Series was born. Originating from the abundance of life and energy that could be felt from traveling through the capitol city of Munich, from the medieval architecture that still stands 'till this day, German culture is deeply rooted in the seams of the Imperial hoodie design. To execute the urban vision we worked with Atlanta photographer, Kenny Jones. Here is what he had to say about the editorial and his thought process. "To my knowledge, the original, black Henninger hoodie was shot in Pasadena Gardens of L.A.. On the flip side, we decided to take an urban approach on the Imperial Hoodie visuals. We sought out to find interesting, yet obtainable architecture inside of downtown Atlanta. We began at the Buck head office and moved towards the Carnegie Pavilion on Peachtree Street. I personally wanted the model (Liv DeWitt) to showcase vulnerability and "just be". I'm a big fan of marble surfaces and structures, so shooting in front of the Pavilion was something I really wanted to incorporate into the brand's image. To me Full Clip is a brand that says everything but does not have to open its mouth much to prove its worth and impact to the world. By going the extra mile to scout locations, build connections with people, to dream, to experiment; that to me speaks of the brand, it's direction and promising future."